This study investigates the impact of spacing on L2 incidental vocabulary learning. The participants divided into three groups studied the same 20 target words, which occurred nine times in 36 short reading texts in a Moodle course. The first group read four passages and thus saw each target words once per session each week in the nine-week period (nine sessions, fixed spacing group). The second group (three sessions, spaced massing with fixed intervals) and the third group (three sessions, spaced massing with expanding intervals) studied 12 passages each session and saw each target item three times per session. While the second group studied the passages within a seven-week period with a two-week and a three-week interval (three sessions), the third group studied the passages in three consecutive weeks (three sessions). So, all of the three groups saw the same 20 target words a total of nine times with different massing and spacing patterns. The participants were given the Vocabulary Knowledge Scale (the VKS) before and after the treatment and a multiple-choice test immediately after the treatment period. The results indicated that the fixed spacing group outperformed the spaced massing with fixed intervals and spaced massing with expanding intervals. The online version of this article ( https://doi.org/10.1007/s11251-019-09483-4) contains supplementary material, which is available to authorized users. 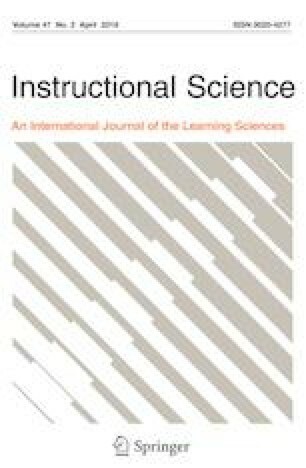 An earlier version of this paper was delivered as an oral presentation at the 8th International ELT Research Conference, 15–17 May 2014, Çanakkale, Turkey.